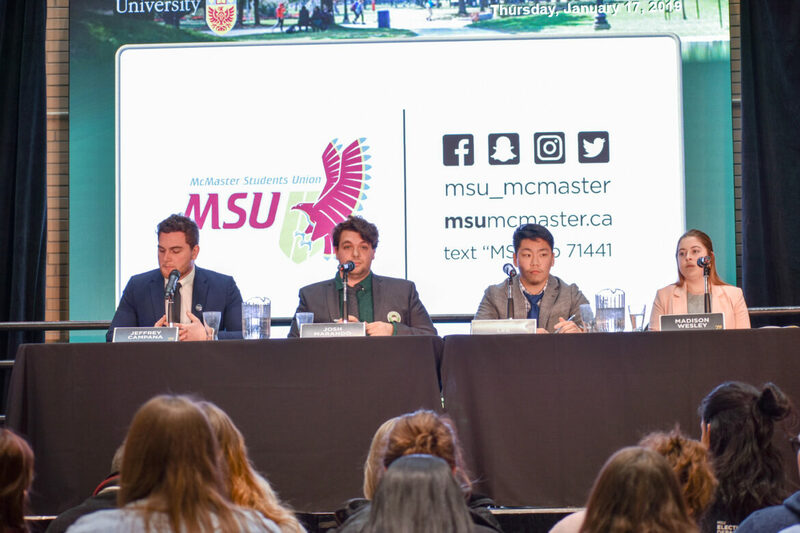 There are four candidates for McMaster Students Union president this year, Jeffery Campana, Josh Marando, Justin Lee, and Madison Wesley. I attended the election debate Thursday on campus. Both because I’m interested in post-secondary matters, and more importantly, the MSU represents the largest ratepayer association in Hamilton. We don’t often think of the undergraduate student association as a form of neighbourhood association. 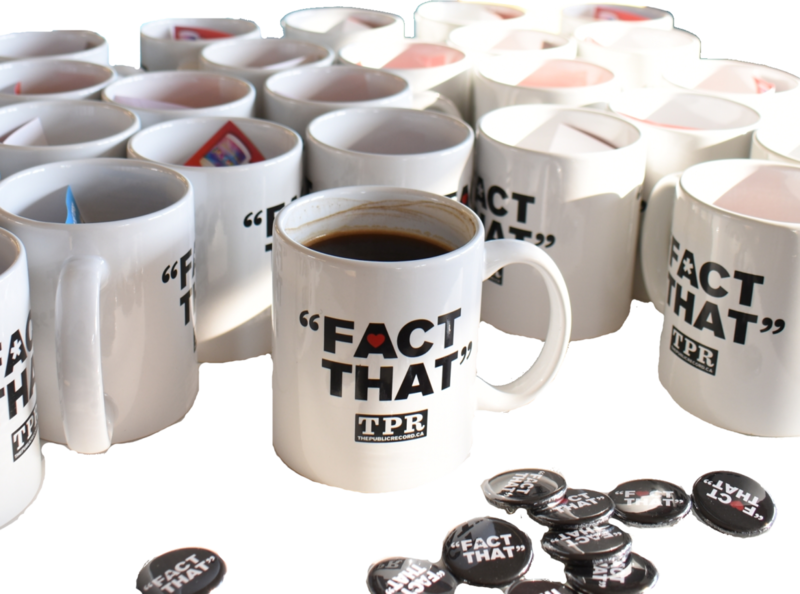 They are, and have a major impact at City Hall and across Hamilton as a whole. Council’s gerrymander of ward boundaries was overturned in significant part by the MSU’s deputation to the Ontario Municipal Board, the rental housing licensing pilot is only possible because the MSU is vocally and actively supporting it at City Hall, the Hamilton Transit Riders Union has the MSU has a founding member – and MSU delegations at City Hall are listened to by Council, we’ve seen a rethinking of Ward 1 as a pedestrian area similar to Downtown because of the MSU, and Hamilton Police handling of sexual assault investigations are in part changing due to MSU services advocacy on that front. In short, the MSU President can be one of the most influential individuals at City Hall. In large part, because uniquely, the MSU is the only group lobbying City Hall with full-time staff that is not seeking profits by changing Council decisions and City regulations to benefit their corporate clients. All of the MSU’s work could be in jeopardy from Voluntary Student Unionism being imposed by the province. Read my related news piece “Provincial Student Fee Announcement Could Cost HSR over $7-Million in Revenue” for more on this. I attended my first MSU debate, as a student, in 2007, and been at most debates since. Particularly noteworthy at this debate, the amount of discussion about off-campus issues from candidates. Quality of rental housing, rental housing licensing, negative stereotyping of students in the community, and transit routing were discussed. In years past, Hamilton effectively did not exist to presidential candidates, with the focus almost entirely on campus. It’s nice to see this change in the past couple of years. Responding to Voluntary Student Unionism. 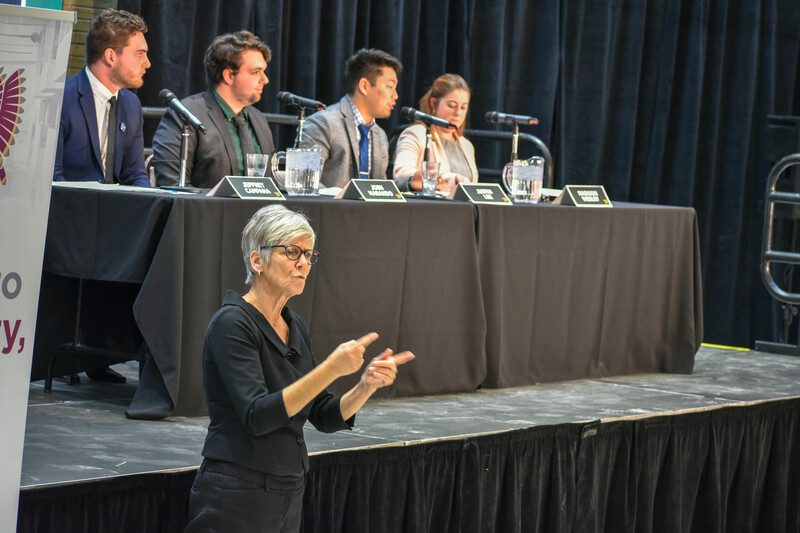 Thursday’s debate was held with a new pressure in students politics which has not existed previously in Ontario — Voluntary Student Unionism. It’s not entirely clear, due to some vagueness in the Ontario Government announcement earlier in the day, but it is likely that the mandatory MSU fees changed to every full-time McMaster undergraduate student will becoming optional. The VSU model appears, from the announcement, to be an “opt-out” model, which will prove challenging to the MSU. McMaster’s undergraduates were the first in Canada to negotiate and secure a Universal Bus Pass (U-Pass for short) in 1995. The U-Pass remains popular with a large part of student body, as evidenced by its continuation by referendum every three years. Thursday’s government announcement stated that “walk home” services is considered an essential service; meaning McMaster could be able to declare the U-Pass to be essential and mandate the fee. What does a student union look like if students can opt-out of paying for it? None of the candidates had strong answers for this question on Thursday, it was clear they realize if elected, they’ll have a challenging year ahead of them. Student Union debates involve a lot of name dropping, and this year’s debate was no different. Interestingly, for a MSU debate, the name most dropped was Ward 1 City Councillor Maureen Wilson. Candidates often stating how they are planning to work with her on off-campus issues. It’s interesting to note the positive tone the candidates used in reference to Councillor Wilson, a phenomenon I’ll seek to better understand in the coming year. This is a shift from the traditionally concerned to adversarial tone past candidates used when speaking about previous Ward 1 Councillors Brian McHattie and Aidan Johnson. Transit routing and efficiency was a significant topic of discussion, one candidate making this a key slogan of their campaign. Another candidate delivered a impassioned statement, one of the best I’ve heard, regarding the negative stereotyping of the student community as party animals and generally being nuisances in Hamilton. She rightfully noted the inaccuracy of the stereotype, and her desire to address this problem more aggressively if elected. Street lighting and community policing were topics. Recently installed LED lighting in West Hamilton is street focused, and in many areas, tree foliage blocks lighting from reaching the pedestrian sidewalks. Candidates were in general agreement about wanting more lighting both on and off campus. West Hamilton had a series of prowler incidents during the past fall, and break-ins of student homes. Two of the candidates are second year students at McMaster: Justin Lee and Madison Wesley. Both attempted at points during the debate to highlight the age difference between themselves and the other two candidates. Jeffrey Campana is in his eight year on campus, Josh Marando is a fourth year student. The statements on age missed the mark for Lee and Wesley. Interestingly, neither of them were running a disruptor or introduction campaign. 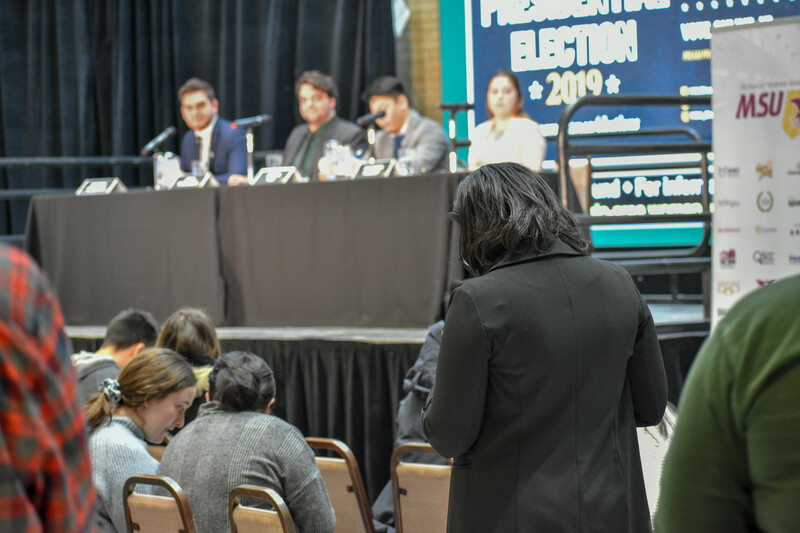 Usually, candidates running in early years either try to convince the student body it is time for significant change, or they are running a campaign to establish their competitiveness in future years. With the provincial government so adversarial to student unions, threatening their very existance them with Voluntary Student Unionism, reminding voters your opponents are more experienced is not a wise strategy. By an hour into the debate, it became apparent Lee and Wesley see the race as between Campana and Marando. Observing student politics for 14 years now, there was a first for me. Campana cited the National Post as his news source for the recent provincial changes to post-secondary funding in Ontario. Campana had a repeated speaking point, which he delivered strongly, this/the “PC Government is simply not for students like us”. Marando enters the presidential race with more MSU and policy experience than the other candidates, I’ve met him at various civic events. He spoke of how he’ll partner with other student unions against the PC government. It will be interesting to see how students vote, and then how the new 2019/20 MSU executive grows in their roles. It will be an interesting year ahead, and at City Hall, the City’s 2019 transit operating budget could be facing a $7.1-million dollar shortfall if the provincial voluntary student unionism framework includes forbidding mandatory universal transit passes. It was especially nice to see the MSU hire two sign language interpretators for the debate, this is the first debate I’ve attended with this service.